When i was young and lived in Greece, one of my favorite desserts that I would order out at dinner, or if I was fortunate and my mother made it at home, was the Panna Cotta. 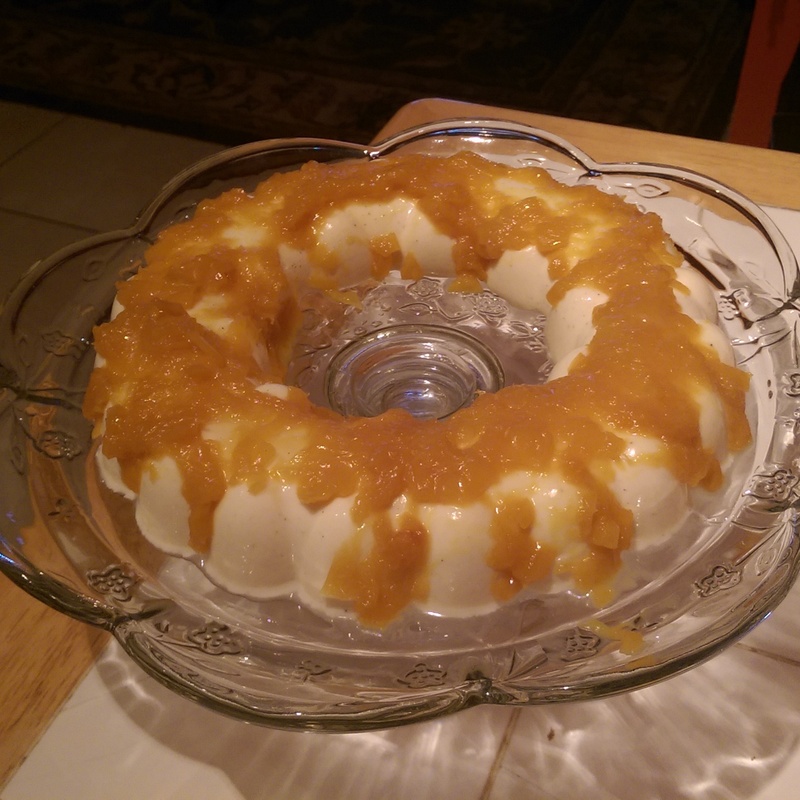 The dessert itself is a delectable, luscious treat that is similar to a creamier Jell-o in texture. It can be eaten plain as it is sweet from the milk and vanilla or prepped with fresh fruit. My take on the traditional Panna Cotta recipe features honey for an added touch of sweetness and a mango topping sauce for an exotic twist on a traditional favorite. Place cream in a saucepan over a medium-low heat. Halve the vanilla bean long wise and add the seeds and pod to the cream. Add the sugar and let it simmer. In a separate bowl, sprinkle the gelatin over the milk and let it sit for 5 minutes until the gelatin softens. Pour the gelatin mixture into the heavy cream mixture and stir until the gelatin is dissolved. Garnish with fresh fruit of choice or with chocolate fudge and serve and enjoy.